Whether an experienced racer or a newcomer to the sport of karting, this is the karting skills course that will set you apart from the competition. We will cater to each individual's skill level and offer personalized instruction with our unique 2:1 student to instructor ratio. Starting off with a ground school, we will cover all the basics and fundamentals of performance kart driving. We will also explain karting techniques -- including vision, line techniques, proper throttle, and braking techniques. Then it’s off to the track, where our experienced karting instructors will begin with a Track Talk, followed by a "Lead and Follow" to show you the proper line around the circuit. All the while, your instructor will either be in his kart driving along side you, or watching from corner to corner for constant feedback on specific areas of improvement. Between sessions, our instructors will debrief and review the data retrieved to maximize the students learning. The day will conclude with practicing race scenarios, passing etiquette, and advanced racing techniques. This one-day advanced karting class utilizes our 125cc Rotax TAG karts, which are able to reach up to 70mph! 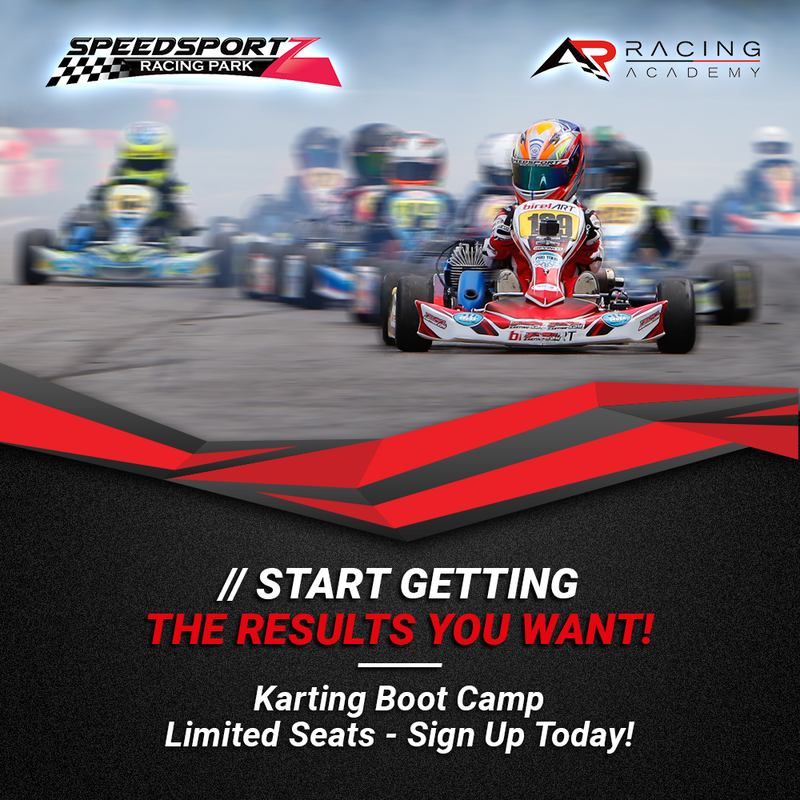 These karts are reserved for our participants that are at least 16 years old; however, your younger kids can take advanced skills classes through the Alan Rudolph Racing Academy. Contact us for more information about karting classes for your child younger than 16. To schedule your Karting Clinic with Houston's best performance driving school at Speedsportz Racing Park, you can complete our online form, email us at info@speedsportztx.com, or call us at 866-607-RACE (7223).